With this bollard light the German manufacturer Bega once again consolidates its reputation as a specialist for exterior lights. The modern LED technology and the effective lighting are accompanied by elegant design. The rectangular pillar shade forms a pleasant contrast to the rounded light emission aperture which gives the bollard lights from Bega an extraordinarily elegant shape. This is complemented by the high-quality workmanship as well as the carefully selected materials. The Bega 77239/77249 LED bollard light is made of aluminium, die-cast aluminium and stainless steel. The light-emission aperture is provided with a reflector made from ultra-pure aluminium as well with as a safety glass cover. 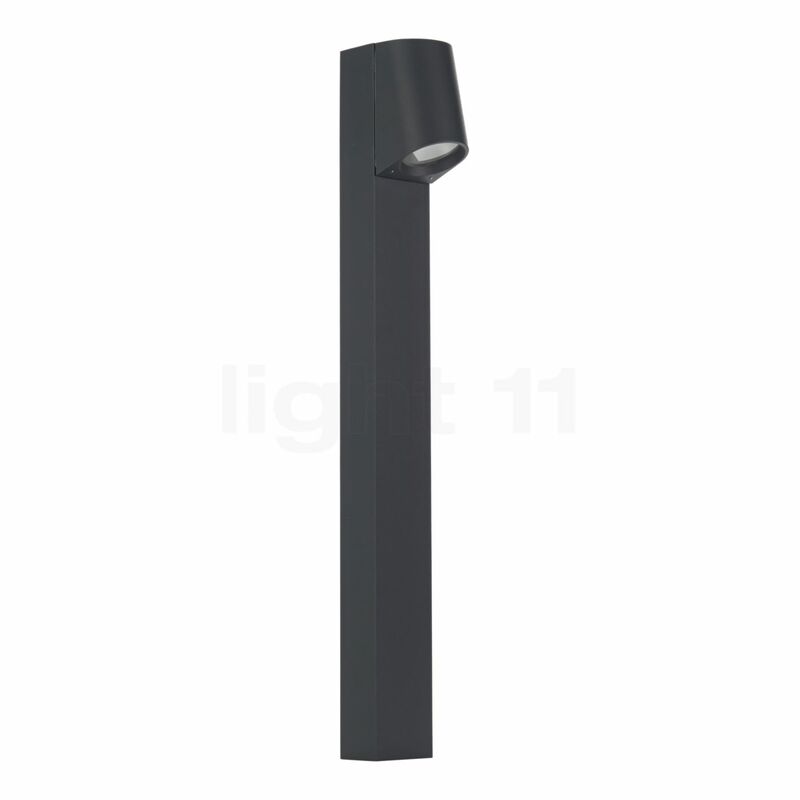 The 77239/77249 LED bollard light from Bega is available with an unobtrusive graphite or a glossy silver look finish. Moreover, you can choose between a version with a galvanised anchorage unit and a version with a screw-on base for mounting on foundations. The illuminant is secured by robust safety glass. The slightly bevelled light head is a characteristic feature of this light. The Bega 77239/77249 LED bollard light emits its warm-white light downwards covering a large area. This means that it ensures an extensive illumination of the surrounding area. It is equipped with an LED that is installed by the manufacturer. This lamp only requires a power input of 3.3 watts to achieve a luminous flux of 290 lumens. This value shows that the bollard light made in Germany offers more brightness than a 25 W lamp which only produces 230 lumens. As it is designed in accordance with protection type IP64, this light is dust-proof and protected against splashing water on all sides. This means that the 77239/77249 LED bollard light is well prepared for use under adverse weather conditions. Tell other customers and us about your experiences with the 77239/77249 - LED bollard light ! With its glare-free light directed downwards the Bega 77239/77249 LED bollard light is ideally suited to supply illumination in the area of the driveway. Here, it provides for brightness that increases the safety level. At the same time, a brightly illuminated driveway acts as a deterrent to unwanted guests. 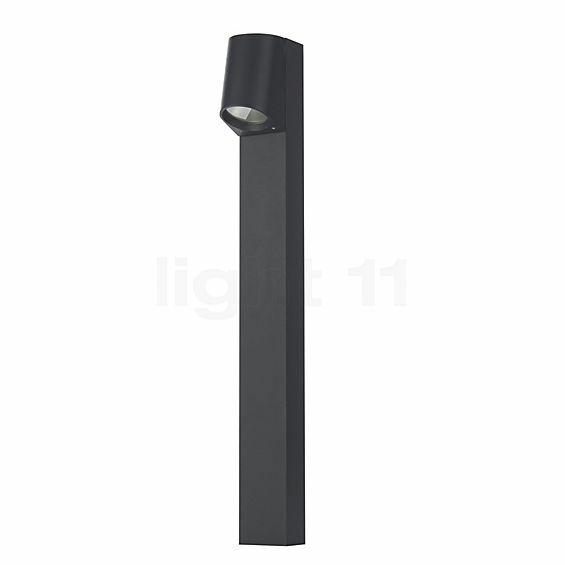 In the area of entranceways, in front of garages and as a limitation of garden or lawn areas, this elegant bollard light reliably illuminates the accessible area while simultaneously saving power. Thus, improved visibility is ensured and the risk of inducing an accident by missing any objects is reduced.